Pisces is a very interesting sign and the energies it brings forth are energies of real change. Because this full moon is coming just after three eclipses it is more intense than your average full moon would be. Below I am going to go over the effects this full moon is going to have on all the signs. While some of these things will be positive not all of them will be as fun as you want them to be. Where it is good, there is also bad. This full moon is going to have you getting back to normal. You are going to be finally slowing down and allowing your heart to take the wheel of your life. As this full moon comes and goes miscommunications will finally be resolved and you will be able to find new ways to go about things. As this full moon makes its way here you are going to be thinking outside of the box. By the time the full moon has already happened, you will have uncovered something interesting about yourself. This full moon really has you angsty and vocalized, wonder why? You need to stay focused during this full moon, sure things are becoming less charged but you still need to pay attention. Something is going to be weighing heavy on you and you need to work through whatever that is. If you want to move forward you have to let go of whatever is holding you back. Sure, romance has never been your forte while love consumes your life you are a bit of a clutz but things are changing. This new moon might bring forth exactly what you need to spark things up. Don’t waste any time, follow your heart. This full moon is going to have you closed off and unwilling to leave your den. During this time you should relax and bond with the people around you. The future is never promised, so try to be more present at the moment. It is time for you to shoot for the stars. This full moon is going to be the perfect time for you to do what you have been waiting to do. Come on out of your shell and get out into the world. You are going to be a star. This full moon is going to be making you feel out of whack in some of the most uncomfortable ways but only because you are not used to how it feels to have things going so well. The weeks to come are going to be relatively smooth sailing if you don’t go out of your way to cause trouble. This might be a great period for you. You are going to be feeling a lot more emotional during this time but it will pass, remind yourself of that. Things will come blurting out of you as if you have no filter. You have been letting the things within boiling up for too long. This new moon might finally bring them to a head. 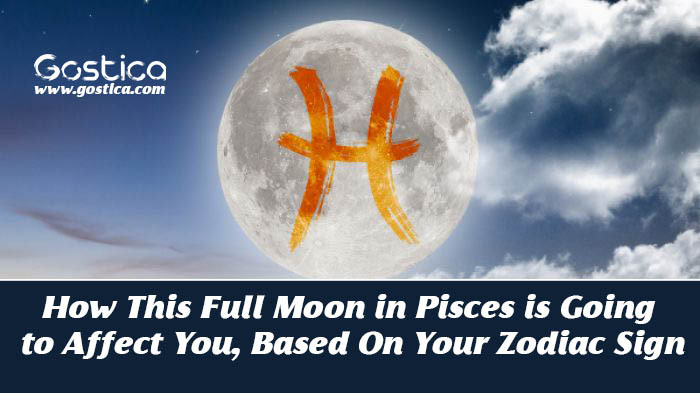 You are going to be feeling a lot more comfortable as this full moon approaches. It will be as if an old friend is coming to town. You might be in store for quite the treat. Be on your toes. Something doesn’t feel right and you cannot quite point out what that something is. This full moon is going to be making you feel quite out of place but it’s not just the energies of the full moon you will be feeling. Jupiter is going to be quite prevalent in your life for a few weeks. Don’t worry too much about staying ahead. During the full moon and the weeks after you are going to be falling behind in many ways. This is a great learning experience for you. When one door closes and other opens, don’t forget that. You have been feeling as if you are all over the place lately, that’s going to slow down soon. The energies of this full moon are going to be quite relaxing and bring forth exactly what you’ve been missing. Let these energies finally calm your soul. Is it based on moon sign or sun sign. Please do mention while forecasting as it so confusing.